This topic contains 0 replies, has 1 voice, and was last updated by Michael Horne 4 years ago. 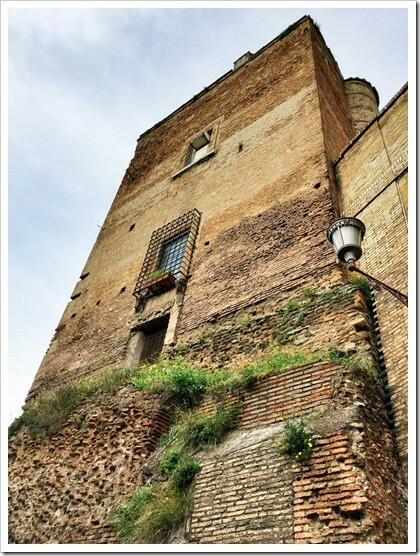 Rome is the perfect city for extended hikes with plenty of grand sites to visit along the way. 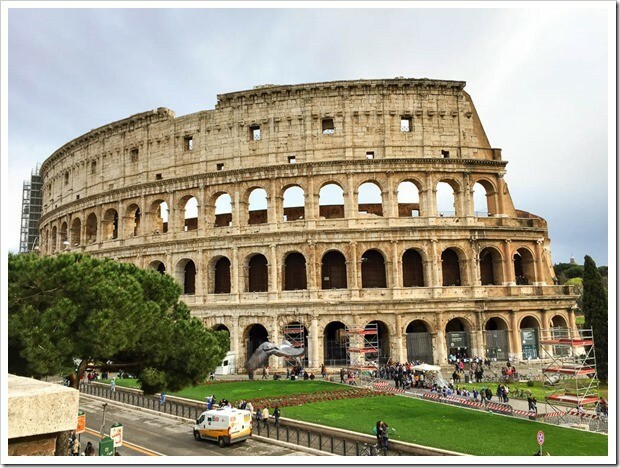 Start out at the Colosseum and either cruise around the exterior, or pretend you’re an ancient Roman and have a seat on the stone benches inside during its opening hours. 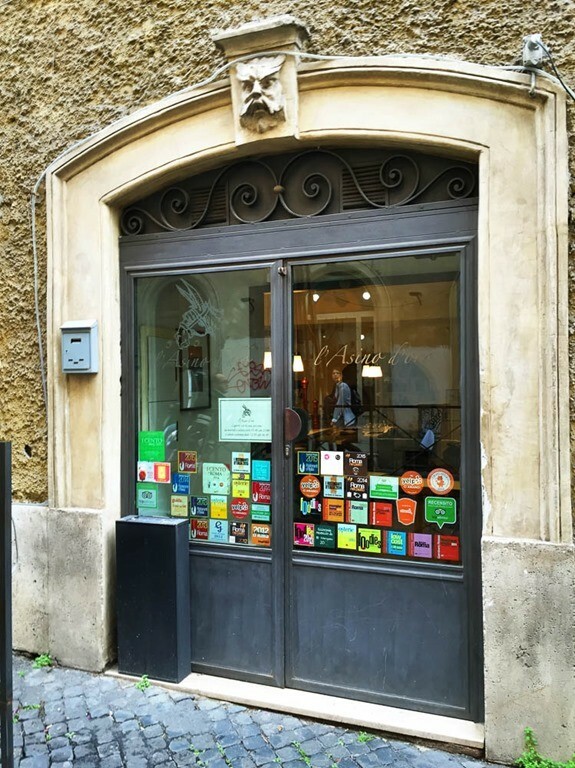 Stitch your way through the narrow streets of the Monti neighborhood and take a coffee or a glass of vino (depending on the time of day) along the way. 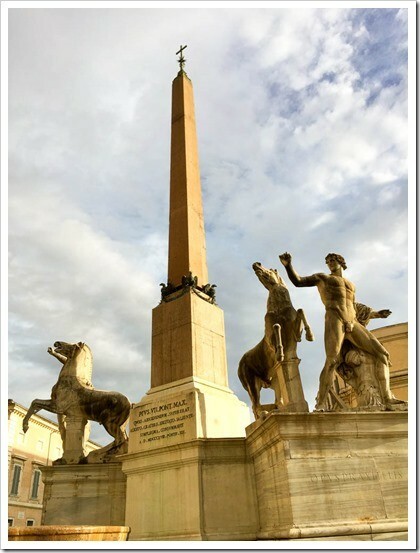 Drop by the Piazza del Quirinale and check out the home of Italy’s President of the Republic at the Quirinale Palace. Weave your way through the streets and tourists as you approach the Trevi Fountain. 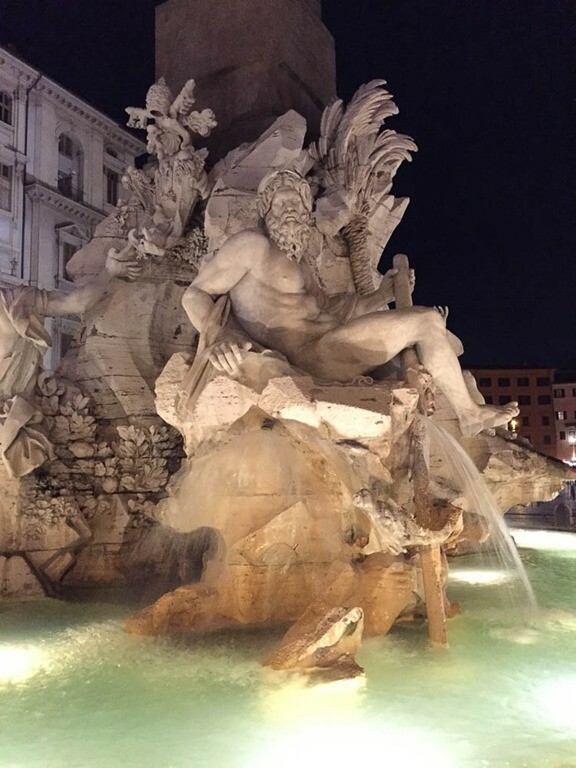 Don’t forget to face away from the fountain and toss a coin over your shoulder into the water – the best way to ensure you’ll return to Roma. 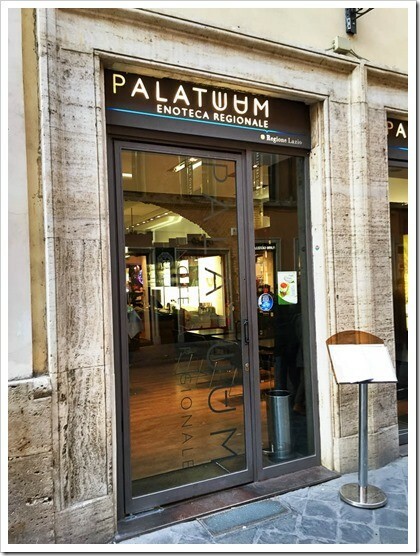 Next work your way to the swanky shopping district around the Spanish Steps. Take a few minutes and climb up the steps, have a seat and enjoy the sea of humanity below you. Got a little extra time? 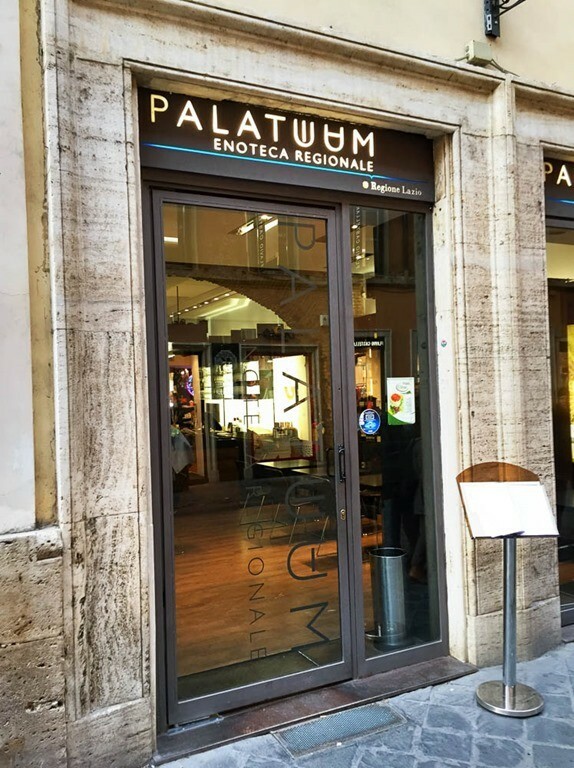 Take a vino break and drop into Rome’s best regional Enoteca, Palatium, just a few blocks from the Spanish Steps. 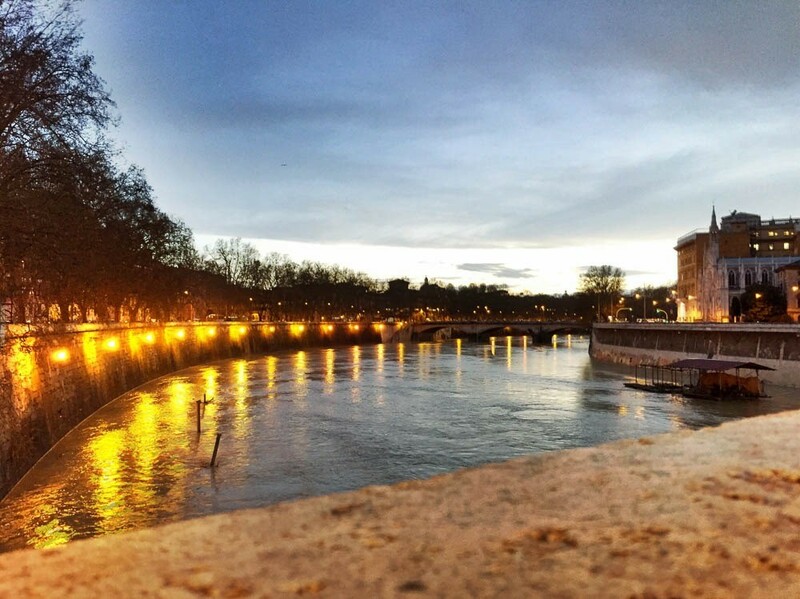 Walk along the banks of the Tiber (Tevere) river on your way to St. Peter’s Square and Basilica. 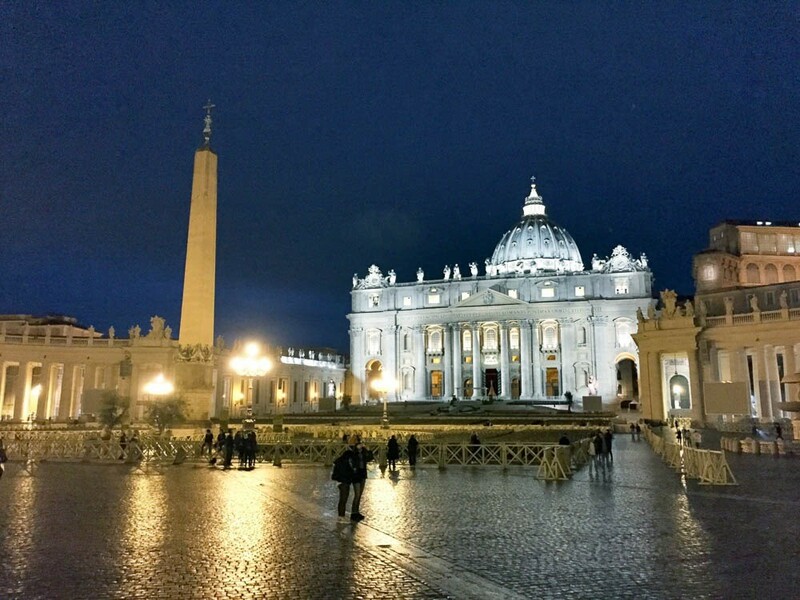 St. Peter’s is grand to visit any time of day, but be warned: During the day it’s swamped. You could easily spend a day here visiting the Basilica, Vatican Museum, Sistine Chapel, even attend mass if you’re up for it. 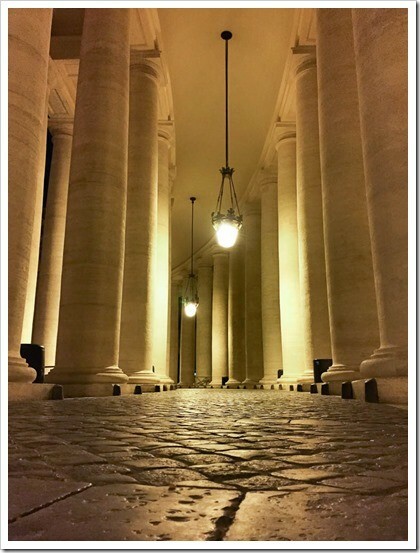 On my hike, I enjoyed the peaceful serenity of the Piazza after dark. 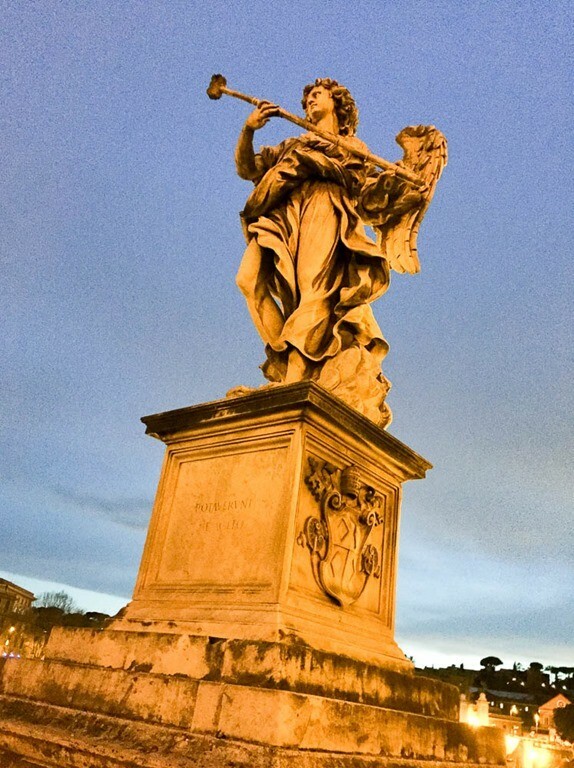 Work your way back to the other side of the Tiber and visit Piazza Navona. This square really comes to life before and after dinner, and can be swamped with locals and tourists into the early morning hours. 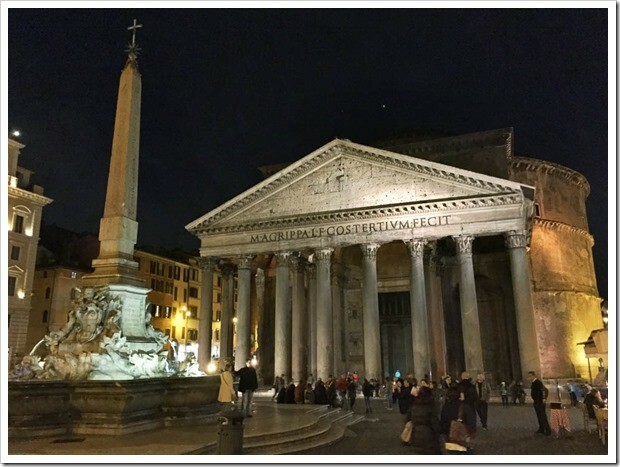 Wrap up this hike with a stop at my favorite ancient Roman relic, the Pantheon. If you’re there during its opening hours, step inside and marvel at the perfection of this 2000+ year old monument to the grand architecture of Rome. 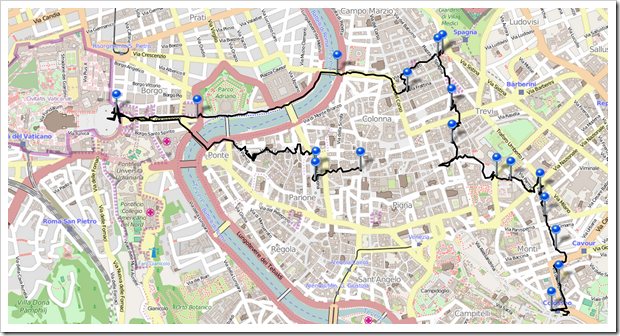 For this hike, Pick up a detailed printed map of Rome from your hotel, or do as I do and download/buy the Gaia GPS app for your iPhone or Android phone. I like the Gaia GPS app because it lets me download maps for offline use, save/upload/download my hikes, take pictures to annotate my hike, and many other cool features. 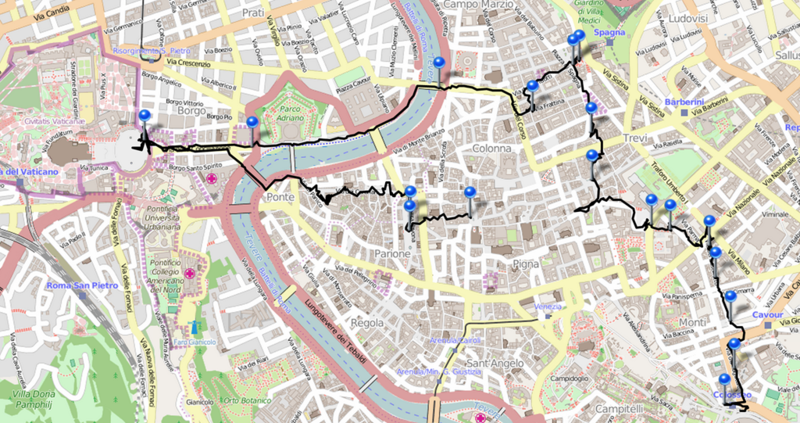 I’ve made my hike publicly visible on the Gaia GPS website, and you can see the hike & my pictures online. If you have a different hiking/mapping app you prefer to use, you can also download my hiking path KML file here and install it in your app. 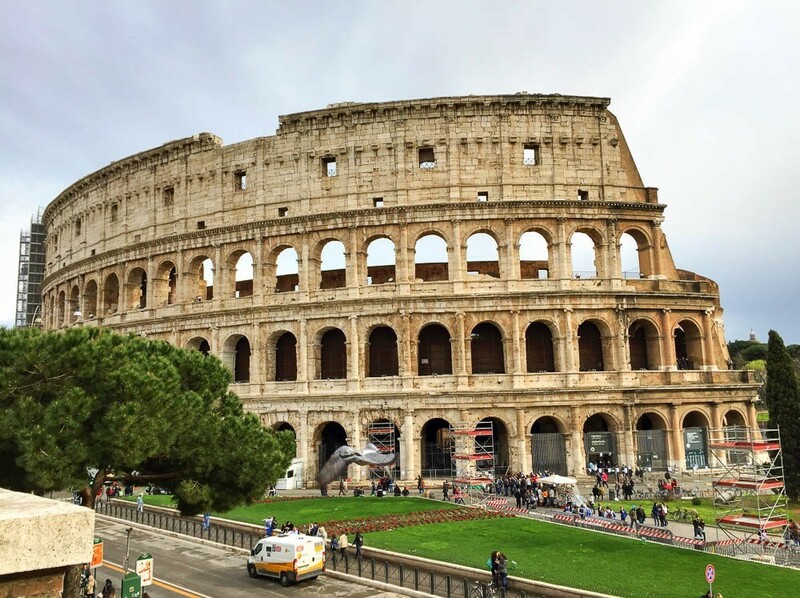 The Colosseum makes for a great starting point for your Rome hike. If you’ve never been inside, don’t miss the opportunity to explore this stunning ruin right at the start – just show up when it opens to beat the crowds. You can check the hours and buy tickets online (great idea in the summer months) on their website. 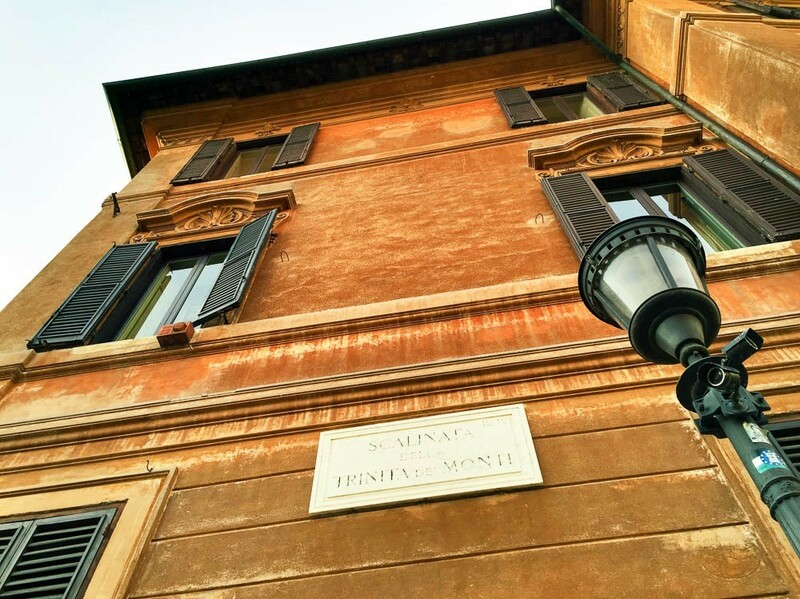 Walk through the historic Monti District and marvel at how the Romans effortlessly live with one foot in the past and one in the present. 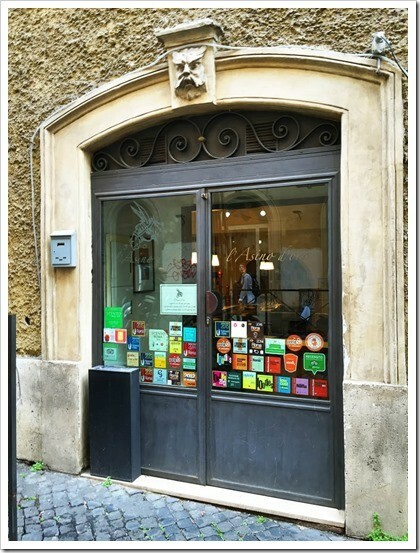 If it’s mid-day, you may be in luck and can take a seat at l’Asino d’Oro (the “Gold Donkey”), one of my favorite Osterie (really, a Trattoria) in the Monti district. 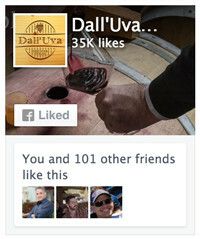 Chef Lucio Sforza is justly famous, and this is the crown of his culinary achievement. 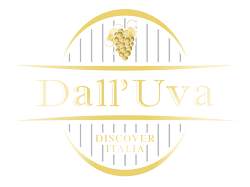 It’s best to book a reservation in advance for lunch or dinner, call at +39.06.489.13832. 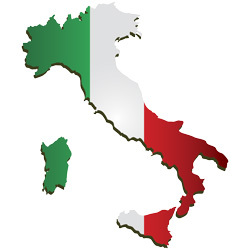 If you follow my path, they’re at #73 on Via del Boschetto. 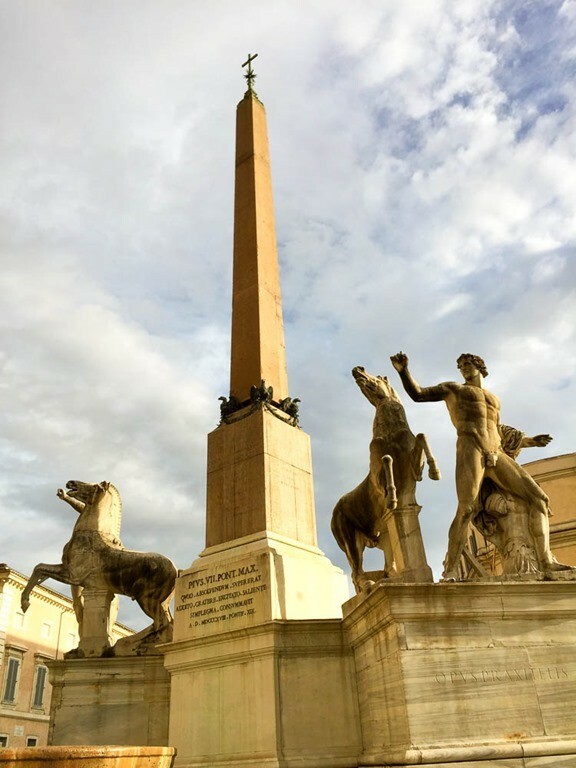 Cruise over to Rome’s highest hill, where you’ll find the Piazza del Quirinale and home to Italy’s President of the Republic at the Quirinale Palace. The colors of Rome are stunning. This warmly lit wall is adjacent to the Spanish Steps (Scalinata della Trinita dei Monti). 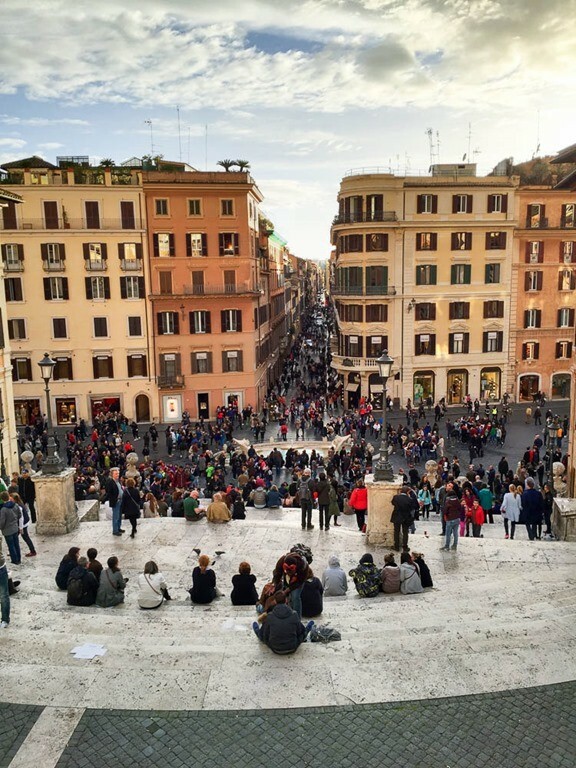 Climb up to the top of the Spanish steps, have a seat and marvel at the touristic madness that somehow just works in Rome. If your timing is good, take a vino break at my favorite Roman Enoteca Palatium. 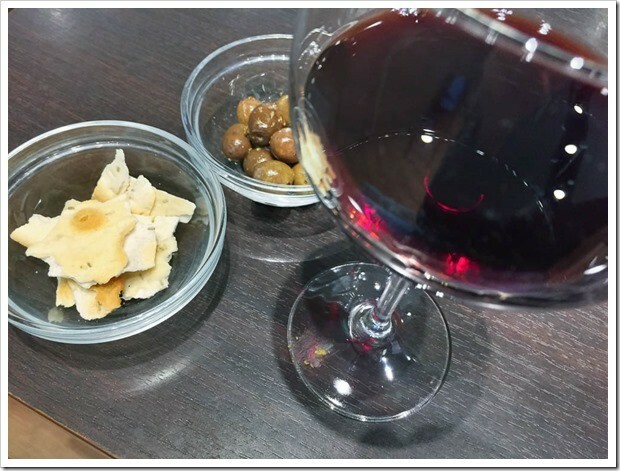 This is the regional, government sponsored ‘bar’ where you can try Lazio regional wines and small plates for not much money. 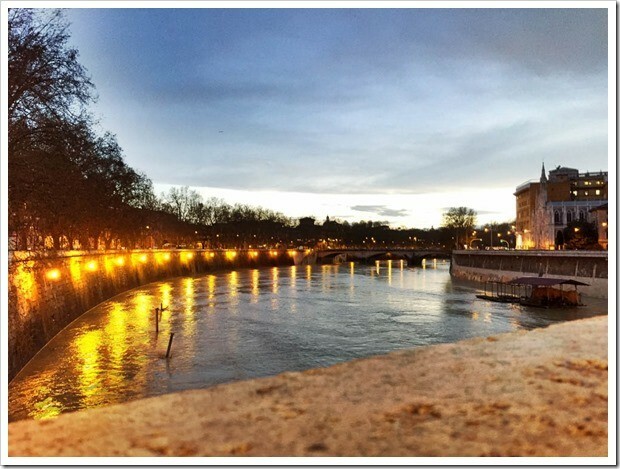 Head off from the Spanish Steps to Vatican City, and cruise along the banks of the Tiber (Tevere) river. It’s a ~25 minute hike and well worth it. 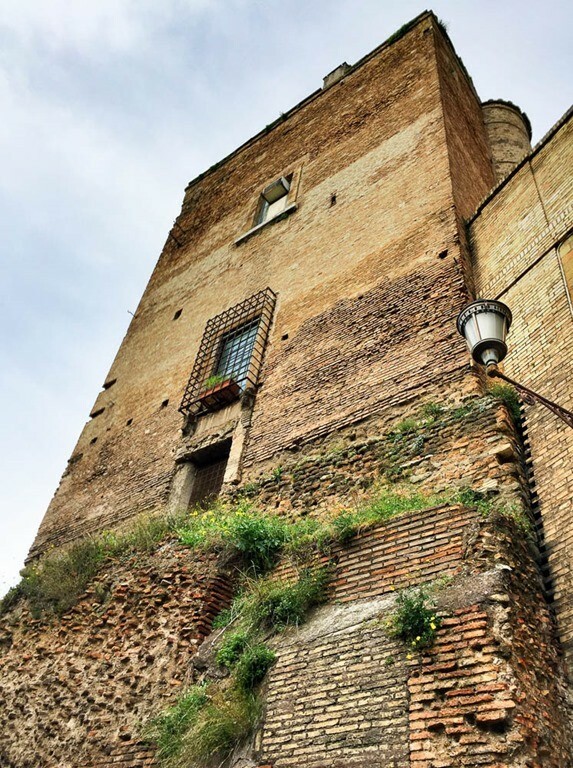 If you cruise the west side of the river you’ll hit some pop-up shops along the way, and have a chance to stop and check out the Castel dell’Angelo. 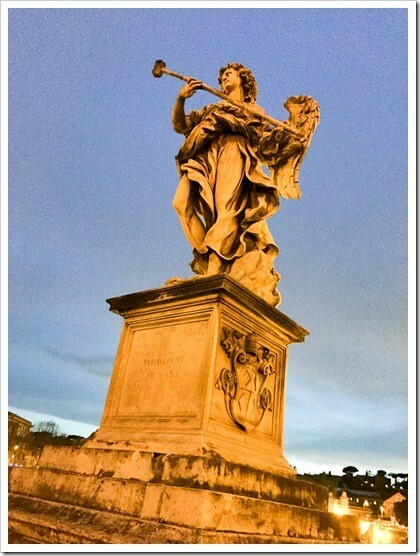 On your way to the Vatican and hiking along the Tiber river, you’ll pass a foot bridge called Ponte dell’Angelo that crosses the Tiber, right in front of the Castel Sant’Angelo. Take a moment to walk across and enjoy the breathtaking sculptures. 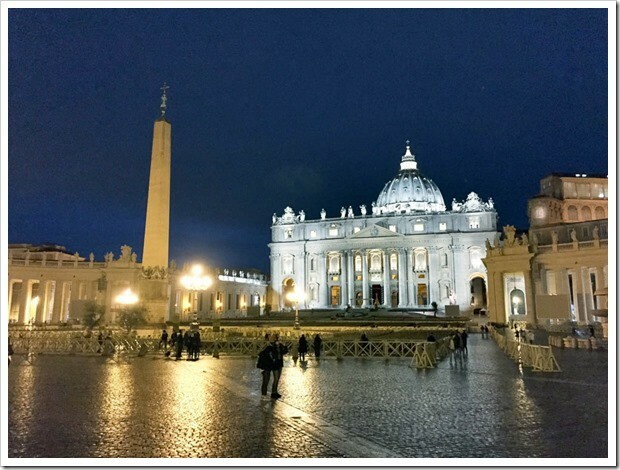 St. Peter’s Square and Basilica defies superlatives. You could lose hours here, and many do on their first visit. Depending upon when you arrive, you can check out the Basilica, Vatican Museum, Sistine Chapel, even attend mass if you’re up for it. This is where a billion Catholics call their religious grand central station, so expect crowds during the days, and you’ll need to book tickets in advance if you want to see the Museum or the Sistine Chapel. The colors and lighting of Rome are mesmerizing at night. 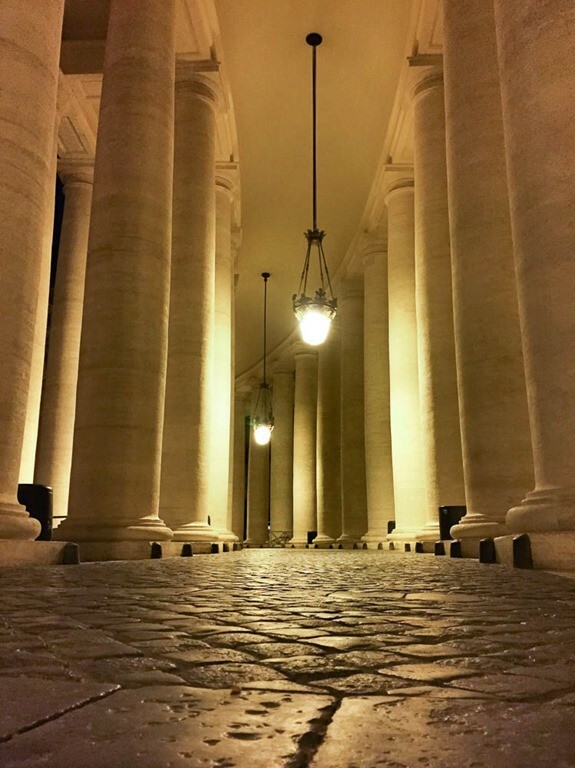 This bit of illuminated solitude can be found along the porticos of St. Peters Square. 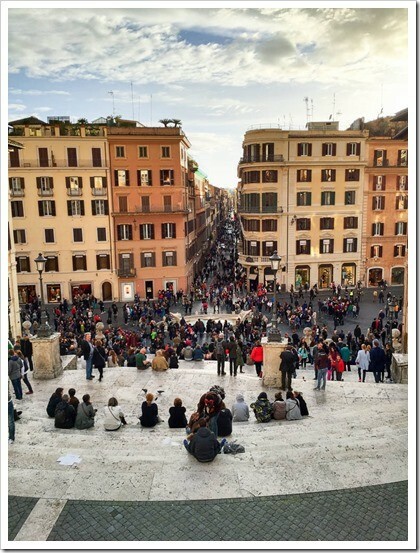 Piazza Navona is a bustling, oval public space where Romans have been congregating for over 2000 years. Late at night the Romans are out in droves, and this square stays busy well past midnight in the summer months. 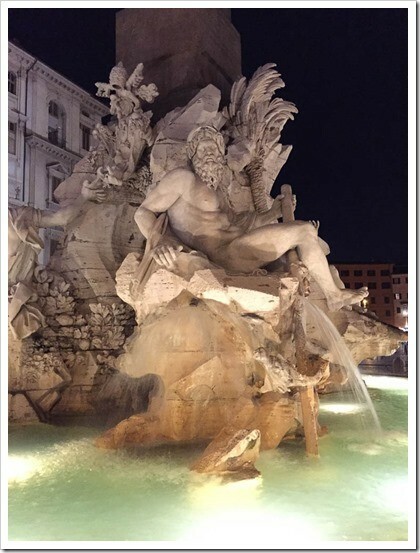 Check out the glorious fountains; this is my favorite, the Fontana dei Quattro Fiumi (fountain of the four rivers). 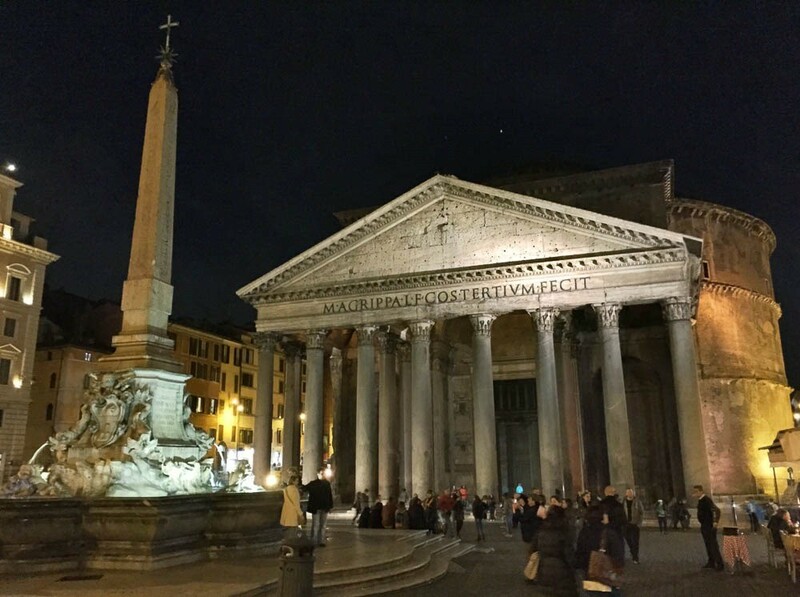 Last stop on this 6.3 mile journey is my favorite ancient Roman relic, the Pantheon. While this is a must-see site during the day when the church is open, it’s absolutely delightful to visually savor at night. Take a glass of wine or an espresso at one of the Piazza bars or restaurants, have a seat and enjoy this uniquely Roman scene.